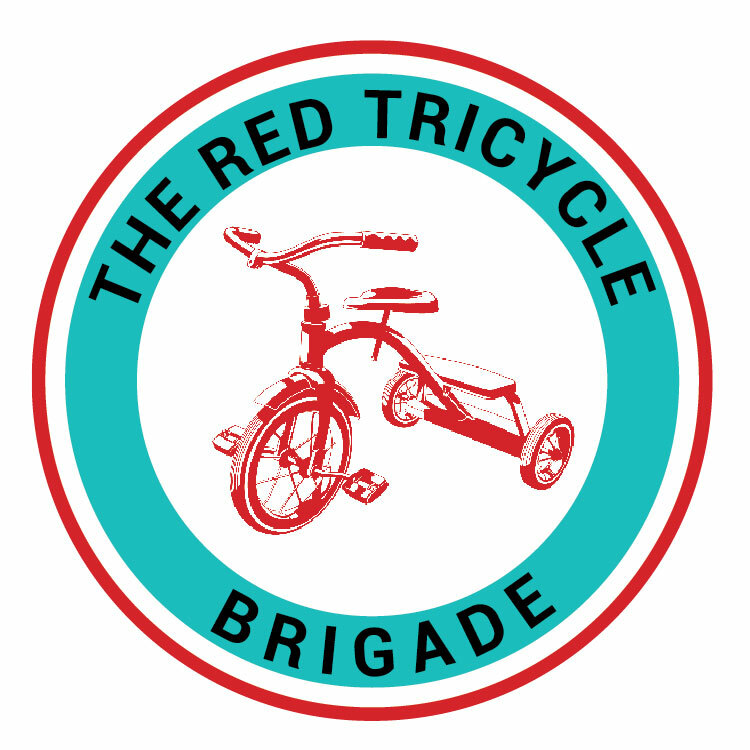 When you see a red tricycle you can’t help but smile. It brings back memories of a time of innocence. Remember when you climbed aboard and you had the whole world ahead of you? Pure joy radiating across your face and the wind in your hair. And if you were really lucky, a super hero’s cape flying behind. A tricycle is supposed to bring joy when you see it. But that was not the case on December 20, 2013. A photo of a riderless tricycle was posted on Facebook that day by the Friedler family. It was their way of letting the world know that they had lost their sweet little boy Henry to cancer. No words were necessary. The heart wrenching photo of an empty tricycle said it all. Henry was diagnosed with infant leukemia the day after his 1st birthday in 2011. I met him 6 months later when his older brother Owen started Happy Hearts preschool where I teach. I have to admit it was a bit of a shock to see him for the first time. He was swollen from all the steroids, bald from the chemotherapy and his poor little nose was always running. But boy did he have the cutest and cheekiest smile…and he smiled often. We watched him fight for health over the next 2 years. The battle was rough since the odds were against him. But through it all, his parents, Marla and Lucas (and his brother too) made sure he lived a full and love filled life. The strength and courage they all possessed was awe inspiring. Henry was the bravest of all and was called Super Henry when he wore his super hero cape while riding his treasured tricycle. Henry finally finished his chemo treatments in February of 2013. He had beaten cancer! Unfortunately, the treatments given to him to save his life had taken a toll on his young body and killed his immune system. Instead of starting preschool with me in the fall of 2013, Henry was put on Hospice. Henry was only 3 years, 10 months and 11 days old when he took his last breath. I was overcome with the senseless loss. I had felt this way before when we tragically lost our niece in a car accident 5 years earlier. Megan was a beautiful, generous and kindhearted nursing student at San Diego State. Her vibrant personality was here one second and then gone the next. How were we to fill that big of a void? When joy is hard to find, give a little joy away. It always comes back…and often in excess. So I committed to doing a good deed in her honor every year on her birthday, February 9th. It brought great comfort and peace. So when Henry died I decided to add another day in honor of his birthday. I was overwhelmed. These good deeds that I wanted to do for Megan and Henry needed to be shared and multiplied somehow. It needed to be more than just myself and more than just one day. So where do I begin? After Henry’s service I went home and decided to set up a community page on Facebook where people could share their kindness ideas. While I was on the computer I was looking at Henry’s parent’s page and noticed that many of their friends and family were changing their profile photos to the one of the riderless tricycle. The tricycle was now representing support, love and compassion. It was inspiring and encouraging to see all these tricycles. There were so many. It was like The Red Tricycle Brigade! So we have come full circle. This tricycle is once again a symbol of hope, love and joy. However, we need your help to keep it rolling. Kindness is how we roll. We created a “trike” ticket with a fun “You’ve Been Triked” motto. If you look closely you can see Henry’s trike in the background. They can be printed for free from our website or purchased from our online store. You simply attach this trike ticket to a good deed of your choosing. For example, you’re buying a coffee at a local coffee shop and decide to pay for the person behind you. You could either hand them the ticket yourself and strike up a conversation or ask the barista to give it to them for you anonymously. Then hopefully the recipient will follow the directions on the ticket and will go to our website where they can print off their own 3 tickets and continue to pay it forward. We live in an age of great stress and busy schedules with distractions at every turn. Many people could use an emotional boost that a small act of kindness can bring. They don’t have to be grand gestures either. It’s the simple things that can brighten someone’s day; like a cookie or a flower or bottle of water on a hot day. And they don’t have to cost anything either. You could weed someone’s garden, rake leaves or shovel snow. Volunteering with the Oregon Food Bank, Oregon Air Show, cancer research fundraisers, and The Outpost, a free summer lunch program. Hosting an annual blood drive with the Red Cross in honor of all the transfusions Henry received. And our number one highlight of the year is our annual TOY DRIVE for Randall Children’s Hospital where Henry was a patient. We collect toys in January and deliver them on Henry and Megan’s birthday. With the help of individuals nationwide, we were able to donate 2,650 toys on February 9, 2016. These toys bring immense joy to the young patients and their families who are facing long and arduous days. We have no idea where this little red tricycle of kindness will take us. We’re just pedaling along with all our might. We’re now an official nonprofit run by dedicated and kindhearted volunteers. Our administrative costs are minimal so the majority of all donations received goes directly to making someone smile. Money may not be able to buy happiness, but it can certainly spread a lot of kindness. In our first year we were able to personally trike over 4,000 people and we have over 1,950 followers (also known as “trikesters”) throughout the U.S. and abroad doing good deeds. Our hope is that someday everyone will see the power behind a simple act of kindness. It can bring so much joy. It certainly has for our two families. So on behalf of the Griffith family and the Friedler family, I thank you for taking the time to read our story and encourage you to hop aboard and help us keep this tricycle rolling! I’M IN !!! What a lovely thing to start. A wonderful thought! The world needs more love and kindness. Henry’s memory is well represented.